The Telecom Regulator Authority of India (TRAI) has released the data for the month of April 2017. According to the data, the newcomer Reliance Jio has added just 3.9 million subscribers in the month of April, which is the company’s lowest monthly addition since the commercial roll out of 4G services in September 2016. Besides the overall subscriber data, the regulator also released the total Mobile Number Portability (MNP) requests received by it in the same month. During the month of April 2017, a total of 4.96 million requests were received for MNP. With this, the cumulative MNP requests increased from 272.76 million at the end of March 2017 to 277.72 million at the end of April 2017, since the implementation of MNP. This must be the least number received by the regulator in the last six months. In March 2017, TRAI stated that it had received a whopping 6.04 million requests, which was up from the 5.67 million requests in the month of February 2017. TRAI has divided the MNP service into two zones in India- Zone-I and Zone-II. In Zone-I, regions under Northern and Western India will be covered, and this zone received the highest number of MNP requests compared to Zone-II. 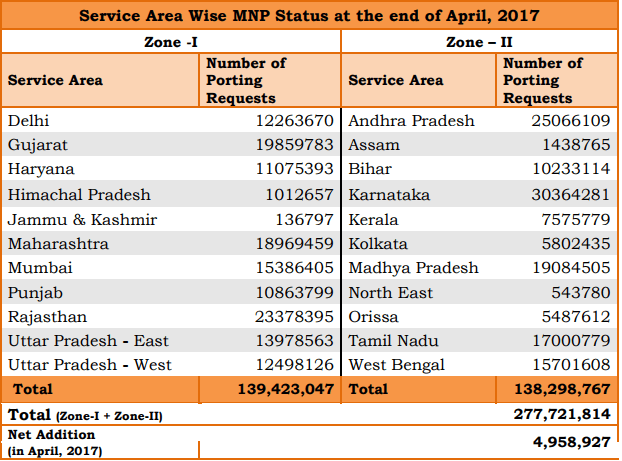 The cumulative MNP requests for Zone-I stand at 139,423,047, while the Zone-II is marginally less at 138,298,767 MNP requests. In MNP Zone-I, the highest number of requests till date have been received in Rajasthan of about 23.00 million, followed by Gujarat receiving about 19.54 million. In Zone-I, the Rajasthan circle is leading the way with over 23 million MNP requests received till date. 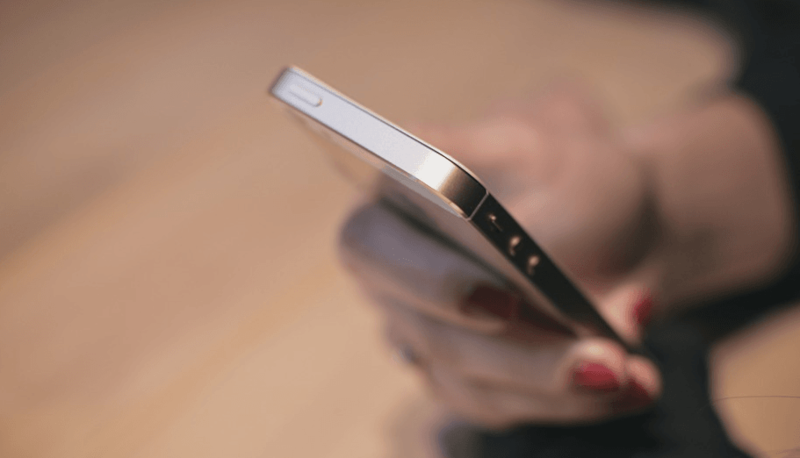 “In MNP Zone-I (Northern and Western India), the highest number of requests till date have been received in Rajasthan (about 23.38 million) followed by Gujarat (about 19.86 million),” said TRAI in a statement. And coming to the MNP Zone-II (Southern and Eastern India), the highest number of requests till date have been received in Karnataka (about 30.36 million) followed by Andhra Pradesh (about 25.07 million). The TRAI data also revealed that active mobile subscribers in April reached 1,174.60 million. what is the reason for shocking low MNP requests in J&K ??? Most operators aren’t very good so people stick with what they have. AFAIK airtel only was decent there. Dont know any jio user from J&K so can’t comment. Though I use and support Jio, today I called jio care for low speeds in my area and the executive told me that if I’m receiving 2Mbps or above, it’s fine. Really? 2 Mbps on LTE is the standard and satisfactory? I think anything below 8 Mbps on LTE is should be unacceptable and improved. Minimum speed I am getting at evening in my area is 0.32mbps.i complained no of times.but no resolution. Same issue here, have been complaining from April and issue not resolved. Planning to port out after SSO expires. Jio’s rate might be cheap but its of no use if user can’t use the service properly. Jio network is already overburdened, in most populated areas and network congestion is there, due to which speeds are low 1 – 2 Mbps is what i also get in many areas and thing have not changed in the last 9 months. Do not think they would improve. With more users getting added it is only going to get worse. It’s true that in Jio if you get 2 Mbps speed means you can’t complain. But the fact is that they don’t rectify 2G like speeds also. So find a better operator and use it if there is one, instead of opting for Jio’s cheap service.